"Percussionists Peter Wolterinck and Jan Roel Hamersma of Het Gelders Orkest (Arnhem Philharmonic) very pleased with their Deagan instruments at the Royal Concertgebouw in Amsterdam." "Thanks to MalletShop for helping the MET Orchestra acquire these new Adams Classics!" 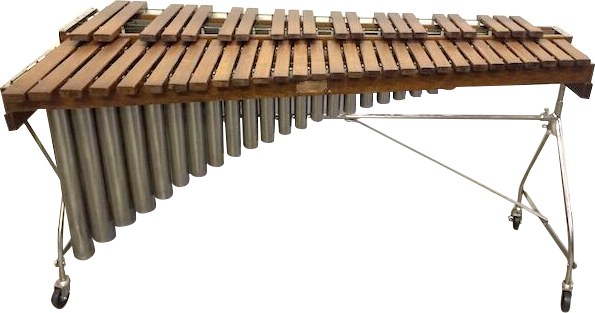 "The Israel Philharmonic Orchestra's fantastic new xylophone. Thank you Shannon for a fantastic instrument and great service!" 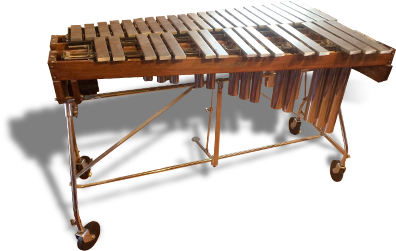 "We were in search for the best sounding glock available for our new concert hall an extensive repertoire we play here and found that very instrument at malletshop.com, an early 1900's Deagan No. 561 Parsifals. It's the best sounding set of Parsifals I've heard. The sustain, resonance, color and tone are unsurpassable. We're really happy with this glockenspiel. Thank you malletshop." "Thanks Shannon for the beautiful Deagan Parsifal glock. We're really enjoying using it at work with the orchestra. The tone is absolutely beautiful and it even looks as good as it sounds!" 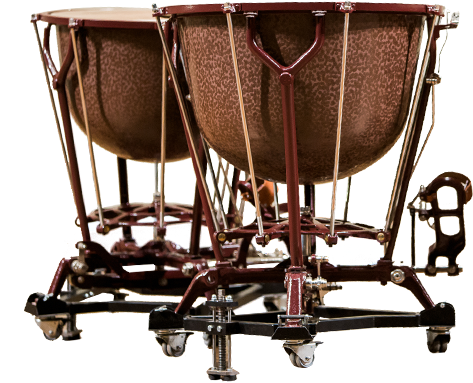 "Thanks a lot to Shannon Wood and Malletshop in helping me get these beautiful Schnellar Adams Timpani at a great price. They travelled from the United States to France pretty quickly and safely"! Huge thanks again!" "The Chautauqua (NY) Symphony was looking for a rare old quality rosewood 4 octave xylophone that could withstand heavy use every summer. Temperatures outside range from 40-95 degrees with lots of moving around among 4 venues at the resort. 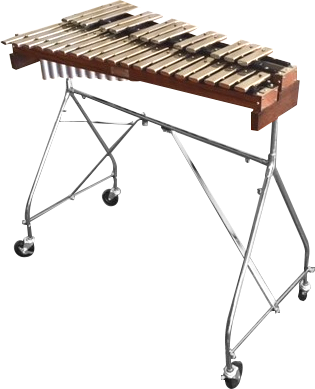 I needed a xylophone similar to the one I own, plus a stellar sounding instrument, as I'm only going to sound as good as the instrument I'm playing on. Shannon at Malletshop immediately located the xylo I wanted, had it restored to impeccable condition, had it shipped carefully on the date promised, and was attentive to me from start to finish. My car mechanic and phone company need to learn customer service from Mr. Shannon Wood." "Thanks Shannon for this beautiful set of Günter Ringers restored by John Kapenekas! Tiina Laukkanen, Principal Timpanist of Tampere Philharmonic Orchestra Finland." "When I was looking for a set of Timpani for the Virginia Symphony Orchestra, I knew the first person I would contact was Shannon. Malletshop.com found me the drums I wanted at an unbeatable price. The orchestra and I are loving the Adams Dresden Classics. Thanks Shannon!" "Huge thanks to Malletshop.com for hooking me up with some Adams Classics at a great price! They look almost as beautiful as they sound!" "Bought this Musser from Mallet Shop last spring. It's my 2nd M55 from you. Both excellent instruments have been in very active use and have been working wonderfully. Thank You Shannon & Malletshop.com!" "It is wonderful! Thank you very much for everything... The vibraphone is great !!! I am so happy"
"This instrument was more than clean, it was mint. Thank you Mallet Shop." "When I bought the Deagan No. 592, it was very beautiful and in great condition. I think it's a wonderful instrument. The tone is light and clear. I love it." "Enjoying my new, beautifully xylophone, restored Deagan 870. Thanks Malletshop, it looks and sounds fantastic!" "The Dresdner 23" Kurbel Pauken arrived at Seoul. Truly wonderful instrument!" "Just purchased a set of Adams from Shannon Wood. I'll use these in the Old Crown Brass Band and any other place that wants me. It is nice to have my own set. BTW, OCBB Concert 26 October. Check it out." 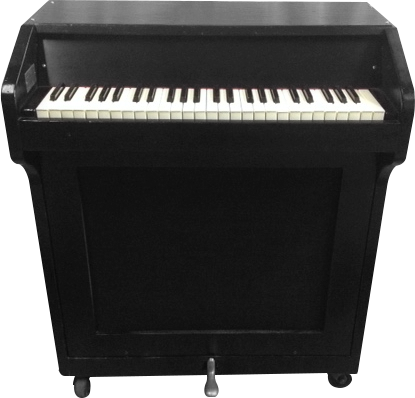 "Shannon - thanks so much for all your help getting my Vibraphonette up and running. The custom part you sent fits perfectly! Now I can finally play the instrument. Don't know what I would have done without you guys." "Here is my son Eric practicing on the new Marimba One we recently purchased from the Mallet Shop. It is a truly wonderful instrument and we are thrilled to have it. It was well packaged and arrived in perfect shape. 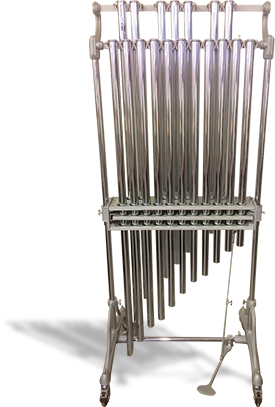 I appreciate all of your efforts to help us with this purchase, and when we are ready for a vibraphone I will get back in touch with you." "What a beautiful instrument! It looks and sounds great! I couldn't be happier." "Thanks so much for all the work and patience you put into this Deagan. It arrived today and I couldn't be happier with it. Hope to do business with you again!" 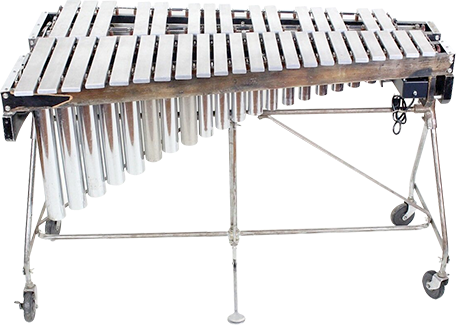 "I just wanted to THANK YOU very much - We received the Marimba yesterday and it is exactly what we expected. The packaging was great and the condition was excellent. The sound is wonderful. We received it late yesterday, and Matthew still practiced three or four hours last night. It is very satisfying to see him enjoy the instrument." "Malletshop- my Imperial vibraphone has been working well...I use mostly Albright blue and red mallets. The sound is amazing!" "Thanks to Shannon at the MalletShop for hooking me up with this excellent pair of Leedy/Anheier drums!" "Kinhaven 2014 percussion class with our new Jenco vibes and chimes from MalletShop. Wonderful instruments - perfect for us - great service. Thanks, Shannon, for all your help, many happy returns." "Two of my students.......Neal (L) and Declan (R) display one of our newest toys at the University of Washington. Our 19" Mark XI piccolo timp purchased through The Malletshop. Thank you as always Shannon!!!" "Here is Concordia University Chicago and the percussion section of the wind symphony with our new five octave marimba at our fall home concert! It has some of the best sound we have heard out of an instrument! Thanks you Malletshop.com for this amazing music maker!" -CUC Wind Symphony! "I really love the concert chimes. We already used them for the first time in a special church program and we are getting ready for our Christmas concert. They sound great. I really appreciate you fast response and shipment. They got here very fast and well packed. I really recommend doing business with you. Thanks again." "This is a shot of me at my first gig with my new Walter Light Metropolitans. I used them for Mahler 1, and the sound had amazing depth and worked extremely well along side the symphony's set of Clevelanders. They were well received by my colleagues in the percussion section, other musicians, and also the music director. The restoration on these drums is absolutely amazing, and I'm looking forward to enjoying these for a very long time. Thanks again, Shannon!" "We love our 'new' marimba from Malletshop.com . Thanks to Shannon for being so patient and helpful, and for matching us up with this fantastic instrument!" "Hi Shannon, thank you very much for the nice deagan. The long wait had an end yesterday and we are really having a lot of fun with this beautiful instrument! I will recommend your shop here in Austria to all my Symphony friends. I hope to meet you guys sometime in Ft. Lauderdale. Many thanks again. Flip." "Malletshop.com was recommended to us by our son's percussion teacher. They were very helpful and patient with us as we tried to decide what marimba to buy for our son. 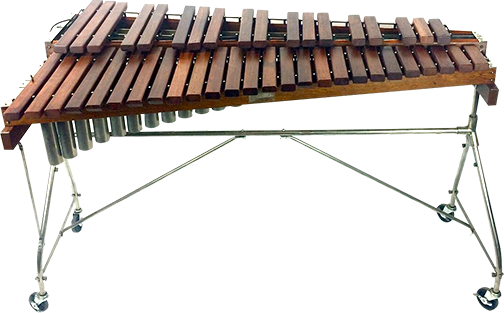 The marimba we bought was shipped across the country without problems, arrived in good shape, and sounds wonderful. Thank you to Shannon and The Malletshop. " " An outstanding purchase for my tight band budget. The marimba was very easy to assemble and it sounds even better than I imagined. I plan on purchasing more Vancore equipment in the near future." "Shannon, as you can see the M-45 arrived safely and is now ensconced in it's new home! Beautiful instrument and tuned to perfection! Thank you very much for your efforts. I intend to start practicing just as soon as I can get the mallets away from my Wife! Thanks again. Cheerio!" "Whenever I play my Deagan Electravibe, it feels like I'm at the control center of a spaceship." "I had been looking for a pair of tympani for my son, Joshua for several months. I could not find anything with the quality I wanted in the price range I could pay. At Malletshop.com I found an outstanding value on a pair of excellent, high quality tympani and Shannon went above and beyond the call of duty to make sure that the drums arrived in time for my son's birthday and in great condition. Thanks for everything and when I'm ready for our next purchase we'll be back." "I was the first musician in Romania to get professional level accreditation as a vibraphone player. I had been playing on a vibe I found sitting in a dusty corner of the community cultural. This "thing" was made of alumininum and thoroughly out of tune. 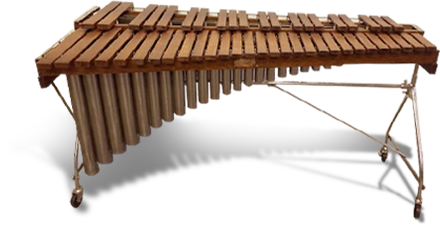 After the development of the Internet in Romania, I was able to search on the net for vibes and get in touch with jazz musicians around the world to learn more about instruments and shops that might sell vibraphones. I badly needed a new instrument. With a little help from a friend in California and lots of help and understanding from MalletShop, after 20 years I was finally able to fulfill a lifetime dream; to own a vibraphone that was functional and not out of tune. "My son Chris has played these timpani at our church services on Sundays and has received praise from the music directory and from many members of the congregation on how good they've sounded. Thanks to Mallet Shop for helping make this dream come true." "I have known of and used MalletShop almost since its inception. In those years I and my orchestra have done over $30,000 worth of buying and selling percussion instruments, including the Hingers pictured. I cannot say enough good things about Shannon and his team at Malletshop. The customer service and quality of the instruments are fantastic! I look forward to a long association with Malletshop and I can unreservedly recommend them as your first source for superb percussion instruments. " 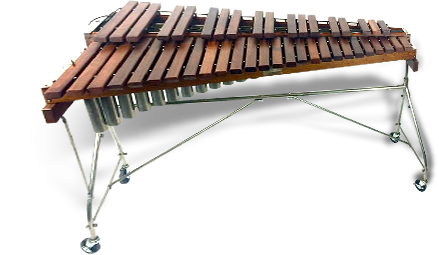 "I was in desperate need of a new marimba for the studio where I teach. I had done a good bit of research on what full size 4.3 keyboards could fit our budget, last over time, and of course-produce a great tone. I had read great reviews on the 4.3 Vancore Padauk and decided that it was the instrument we would purchase. 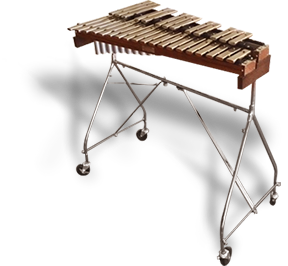 After shopping around a bit, Malletshop.com had BY FAR the best prices on brand new Vancore Marimbas. I (and my students) couldn't ask for anything more. Many of them have commented on how much better it looks and sounds than the other keyboards I previously had in the studio (Musser M300, Yamaha YM2400). I was extremely impressed by the quality: Solid Ash endpieces and rails, Thick metal tubing for all frame parts, etc. Thank you malletshop!" Keep updated on our inventory and specials.